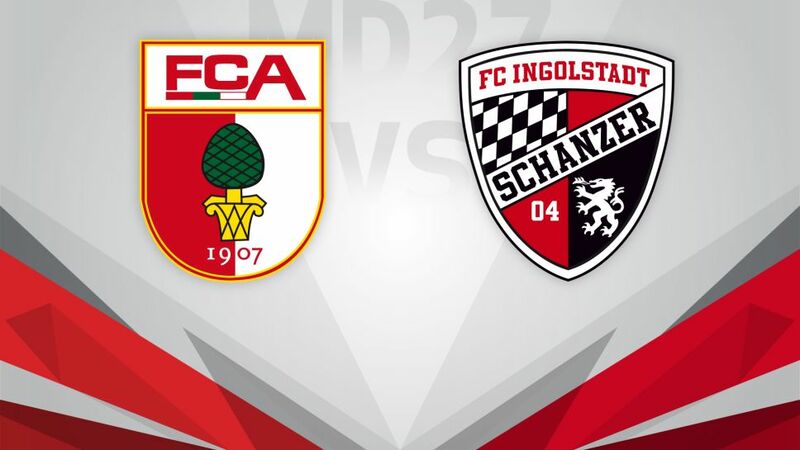 With both sides embroiled in one of the fiercest relegation battles in recent history, both Augsburg and Ingolstadt find themselves in a must-win situation ahead of their clash on Wednesday (kick-off 20:00 CEST/18:00 GMT). Click here to make sure your Official Fantasy Bundesliga team is in order for Matchday 27! Following their demoralising 6-0 loss against league leaders Bayern Munich on Matchday 26, Augsburg now find themselves in the bottom three heading into the business end of the campaign. While the likes of Werder Bremen, Hamburg and Wolfsburg have rediscovered their form, Manuel Baum’s charges have picked up just five points from a possible 21 in recent weeks. Die Schanzer are one of just two fellow cellar-dwellers that Augsburg are still to face between now and the end of the season and, if they are to survive, these are the games they have to be taking points from. However, that is easier said than done against an Ingolstadt side, who picked up a potentially pivotal victory over Mainz last time out. Another victory on Wednesday would see Maik Walpurgis’ men close the gap on Augsburg to just four points. With games against Darmstadt and Wolfsburg to follow, Ingolstadt’s performances during GOALMANIA will go a long way to determining their fate in the battle to beat the drop.